Come, Sit, Stay provides care and exercise for pets in Minneapolis, Edina, St. Louis Park, and St. Paul. Come, Sit, Stay is the name of the business, but the lessons it teaches our furry friends extend far outside of those three puppy commandments. Since February 2010, Come, Sit, Stay has been providing dog walking and pet sitting services to pet owners throughout the Twin Cities, Edina, and St. Louis Park. Sellheim says Come, Sit, Stay offers dog walking and pet sitting services by duration, and they customize the care provided based on the client’s and their pet’s needs. “Our most popular service is a 30-minute dog walk, but we offer services from 15 minutes up to a multi-night overnight stay. We also offer unique pet services like pet taxi, wedding accompaniment, and birth support,” she says. Come, Sit, Stay strives to offer flexible, reliable, and caring services to its clients. Sellheim says their philosophy and motto are that they are “partners in the care of your pet” because they work with each client individually to provide a customized service based on what best serves that particular client and their pet, which go all the way down to the nuances and details of varying schedules, potty and exercise needs, dietary and medication needs, and special care in relation to pet behavior and temperament. Sellheim says Come, Sit, Stay is welcome to anyone with a pet who wants a convenient and caring service. Many of Come, Sit, Stay’s clients are GLBT, all of whom have greatly contributed to the growth of their business by referring their friends and family, she says. 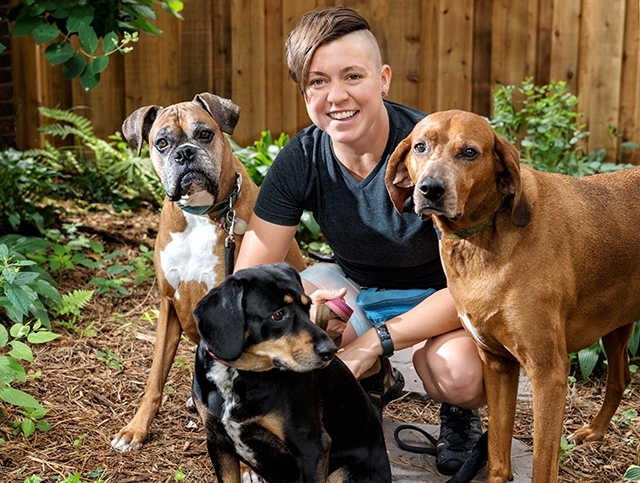 “We are always happy to provide service to pet owners of all kinds of identities and family structures,” she says. 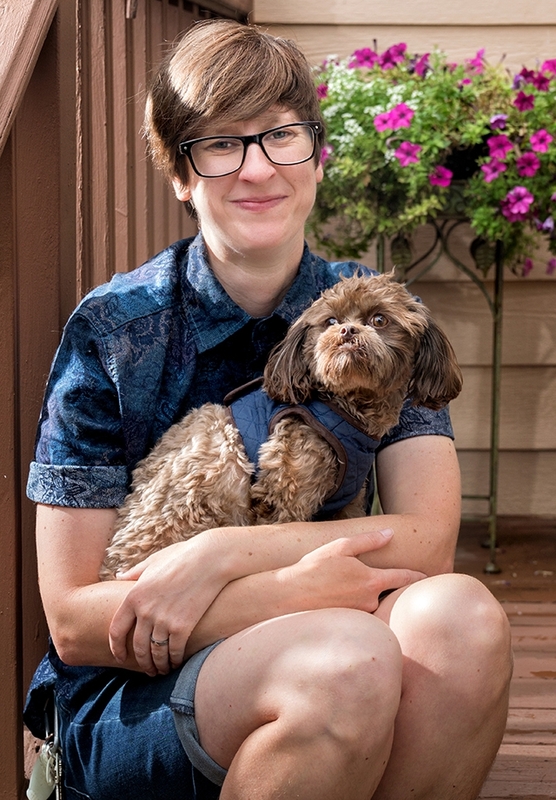 According to Come, Sit, Stay dog walker Andrea Bartsch, the company isn’t just accepting to all of its clients, but to its employees, too. “The best way I can describe it is I’ve never seen or felt any kind of discrimination towards myself, my coworkers, or our clientele. It’s a very welcoming environment for everybody,” Bartsch says. Bartsch says Come, Sit, Stay is unique from other dog walking services because all of the employees work hard to provide individualized services to each and every pet that they work with. Also, many people throughout the Twin Cities, Edina, and St. Louis Park like supporting Come, Sit, Stay because it’s a small local business. Jae Gullings, another dog walker at Come, Sit, Stay, says the company’s inclusivity and welcoming atmosphere are what initially drew them in. “I know there are many GLBTQ clients that we serve, and as a queer and genderqueer individual, I feel they are very inclusive and open to all identities. I loved that in the interview process I was asked what my pronouns were and that felt really good (I use they/them so it makes me feel all warm and fuzzy inside when folks ask this question),” they say. Jae says their favorite part of working at Come, Sit, Stay is working with the dogs because they never judge anyone, and instead they love everyone they meet. Come, Sit, Stay service manager Sarah Aune says they’re known for their flexibility, reliability, and ability to tailor their services to each client’s individual needs. “Our team collectively has a great deal of experience with dogs, cats, and other pets of a wide range of temperaments and breeds. We offer medication and injection administration as part of our service, as well as pre-scheduled/on-call pet care in preparation for the birth of a new baby and pet-accompaniment for weddings,” she says. 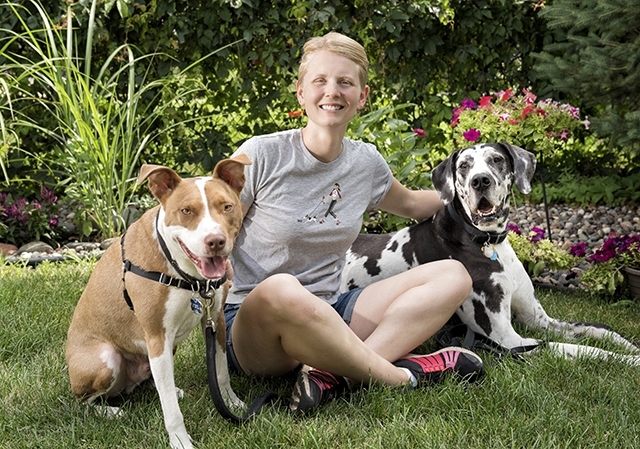 Aune says she has been with Come, Sit, Stay for eight years—since the beginning—and she continues to have fun and enjoys doing rewarding work with animals. “I get a lot of satisfaction from the direct work I’m doing in caring for pets and walking dogs during my work days. I also very much value being part of and helping to manage a team of highly responsible, caring, fun, and hardworking people,” she says. For more information about Come, Sit, Stay, visit comesitstaytc.com.